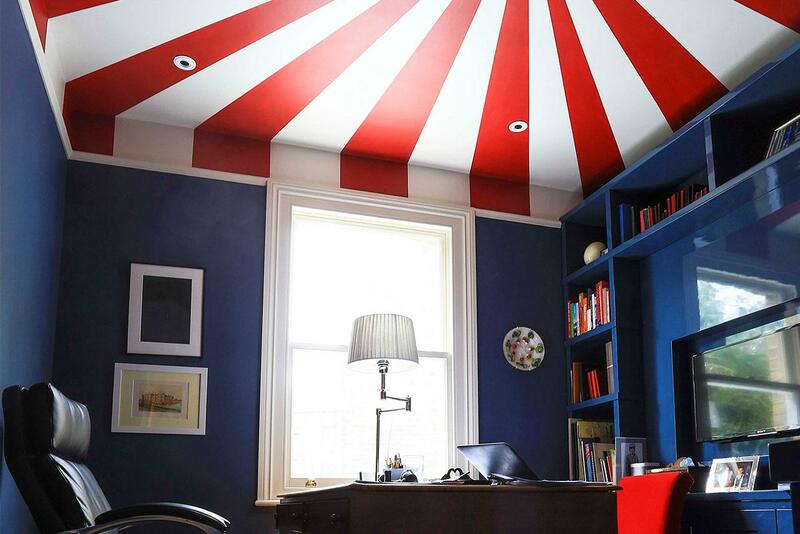 Our client wanted to add a little colour to her Notting hill office. Keen to play with a circus theme yet not to detract from the working environment, a tent on the ceiling proved a popular choice. Elephant and Castle Café/DJ outfit Spiritland asked us to decorate their cocktail bar and DJ booth at Mercato Metropolitano. This cool effect worked well with the lighting and laser show, packing out the venue. We turned this unused and overgrown garden into an awesome venue for a pop-up pizzeria. 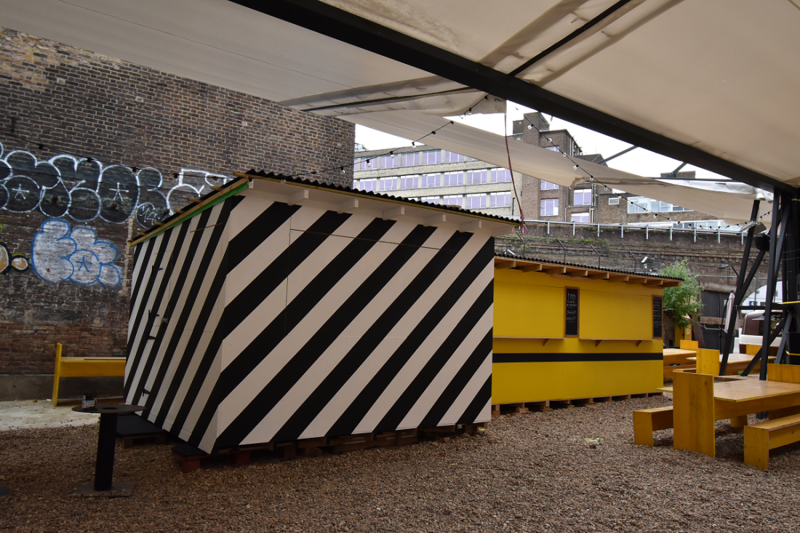 We built a roof, made crate furniture, tables and even a services counter. 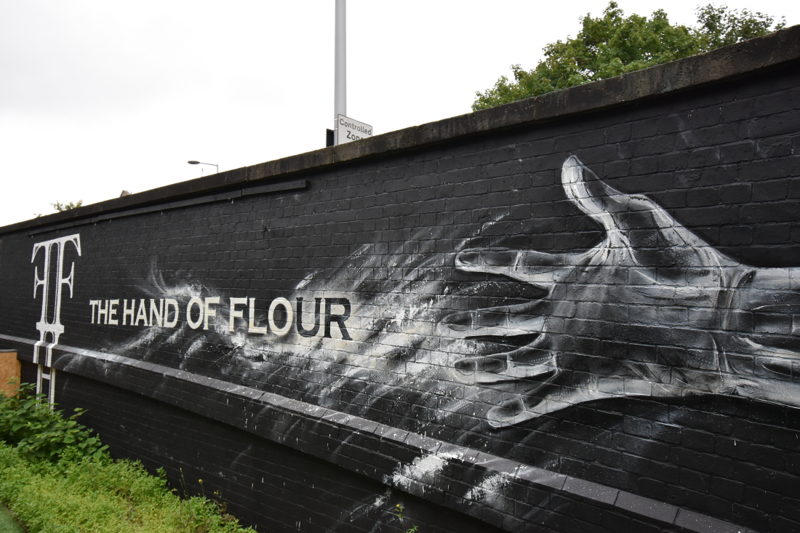 With that we painted a huge mural on the south wall, complete with the pop-up company logo. The party was a huge success. 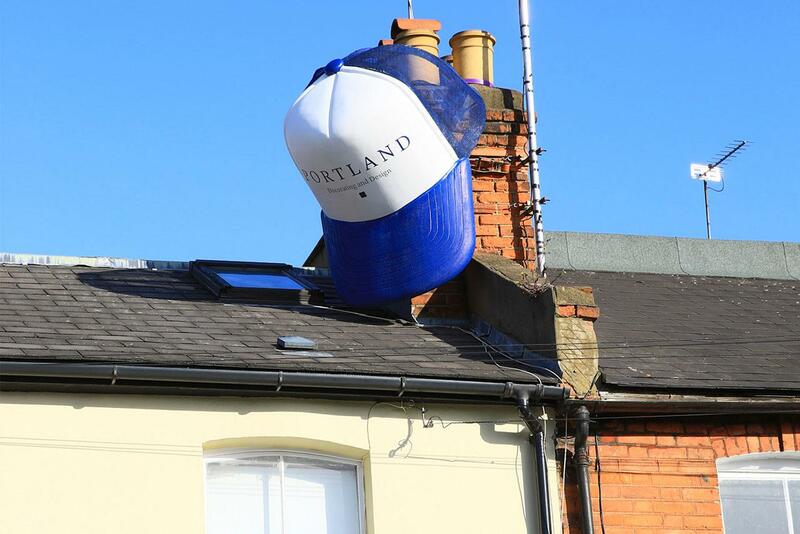 Our much-loved Portland trucker caps have become well renowned. They have travelled from the beaches of France to peaks of the Pyrenees with some even getting as far as Vietnam. In honour of all our fans that help spread the word we created this 7ft model to showcase what we can do. How do you create a calm and natural space for a new nursery? 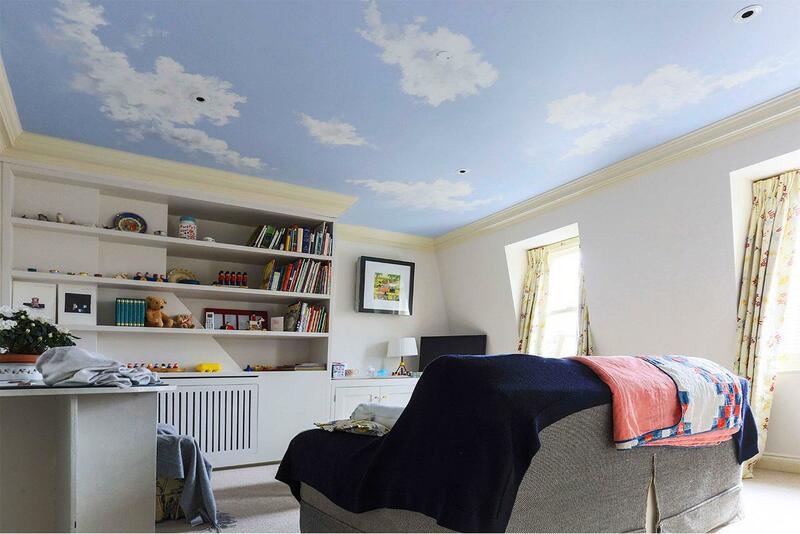 Paint a perfect cloudy blue sky on the ceiling. 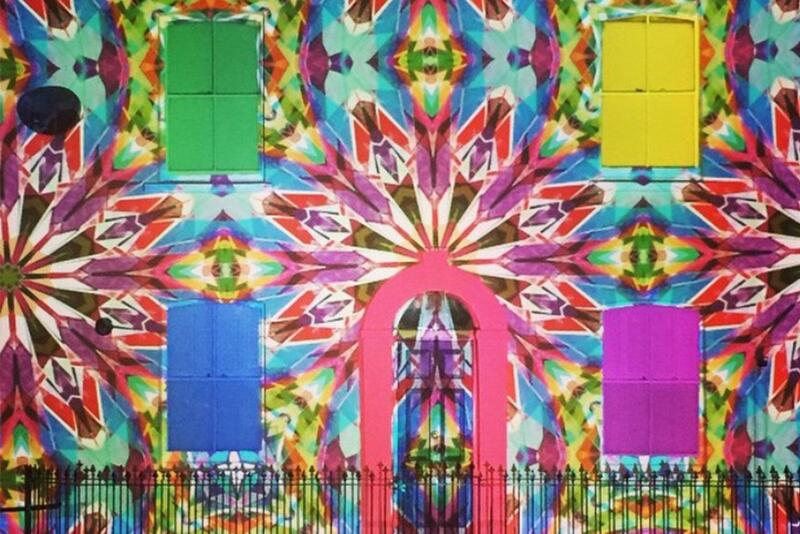 Over Christmas 2013 we projected these kaleidoscopic visuals on to a Fulham house. 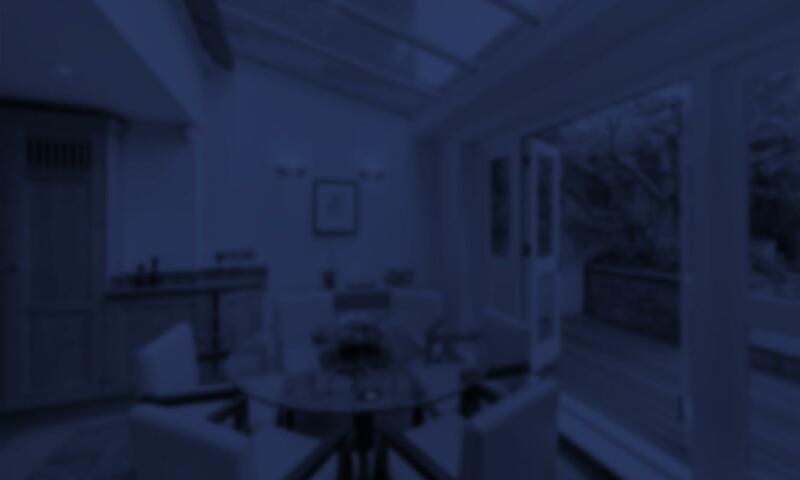 We can create any colour, pattern or sequence that our clients require, onto any surface. The plight of the UK honey bee has been big news recently. So when the British Bee Keepers Association approached us to do an awareness campaign we jumped straight on board. 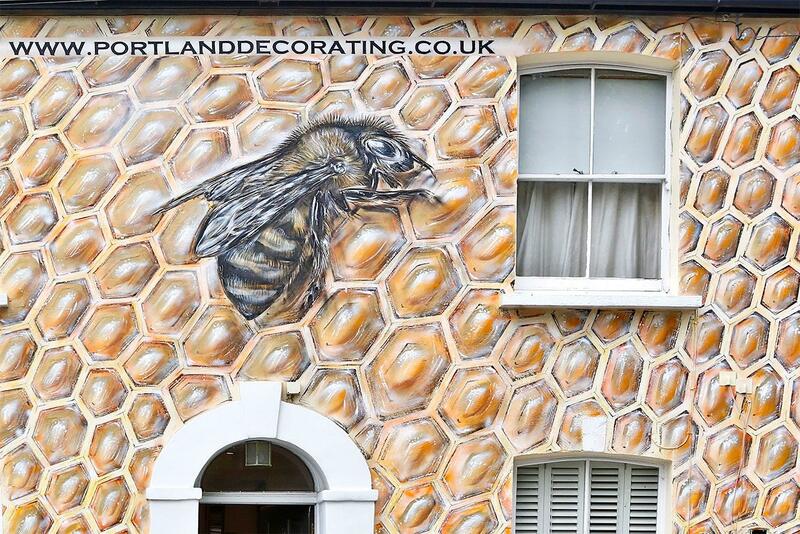 We turned the front of this house into a giant honeycomb mural complete with a 10ft honey bee. It raised great awareness in the local area with donations flooding in. It even became a stand by story for radio one London. 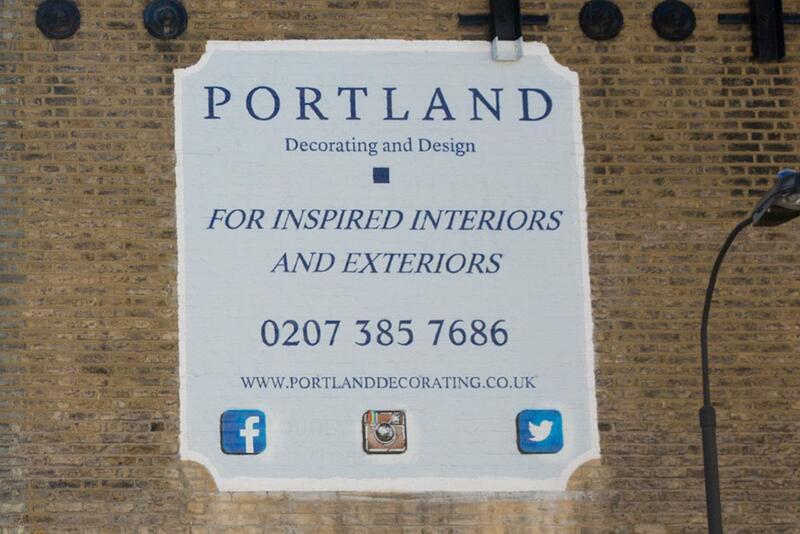 External decorating and artwork is a big part of what we do so when we found this little patch we just couldn’t resist. It was a good opportunity to tell people about Portland whilst showcasing our external decorating, mural and calligraphy skills.